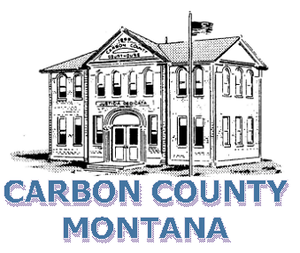 The following form must be completed for all NEW residential uses in Carbon County. You do not need to complete this form if you are constructing an addition on an existing residential structure. The application MUST be complete at the time of submittal. Incomplete applications will not be processed. Permit fee is $50. How would you like to receive your permit? Is there surface water on your property? How will the property be served by water and sewer? Required setbacks are 10' from any side lot line, 20' from any rear lotline and 30' from any front lot line and street right of way. Structures are prohibited in right-of-ways and easements. Are there any easements located on the property? Are any drainage improvements required (ponds, culverts, etc)? Required files include a general Site Plan and any other needed County permits. Site Plan may be a PDF, image, or scanned copy. Please provide as much information as you can! 5. Administrative Review Process. The Planning Director will issue a Development Permit within 30 days of a complete application. The Planning Director may issue CONDITIONAL APPROVAL of the permit related to ingress and egress, parking, fencing, screening, landscaping, setbacks, signs and lighting, weed control and conditions to address other reviewing agency concerns. 6. Applicant Statement. Everything included in this application is true and meets all application submittal requirements as found in the Carbon County Development Regulations. My signature above authorizes Carbon County to charge my credit card listed herein in the amount of $36.05 ($35 fee + 3% credit card convenience fee). I agree to pay for this purchase in accordance with the issuing bank card holder agreement.